Uses Aerosol medication therapy for the effective treatment of: bronchial asthma, acute bronchitis, chronic bronchitis, emphysema, pneumoconiosis, cystic fibrosis, bronchiectasis, tracheitis, pulmonary infections, small airway infections, chronic obstructive pulmonary disease, respiratory infections, and other upper respiratory conditions. The Airial MQ7000 Pediatric Nebulizer is the first interactive child friendly system designed to engage children with 'interlocking building blocks' during breathing treatments. This system helps to eliminate anxiety during treatments, employing the child's imagination and strengthening coordination, cognitive skills and dexterity. This quiet easy-to-use unit is available with a choice of 'interlocking building block theme kits' designed to hold the pediatric patient's attention while completing breathing treatment. Each system comes with its own matching carrying case for ease of transporting. 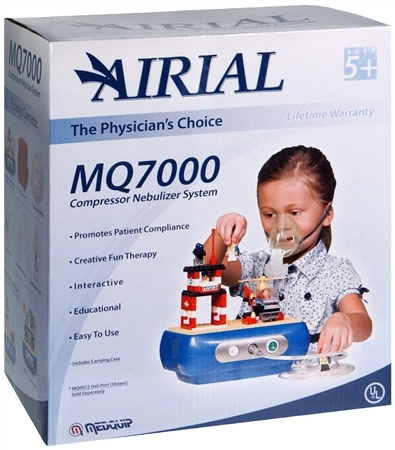 The Airial MQ7000 is build with a durable metal piston driven compressor engine and comes packaged complete with full circuitry; kink resistant tubing, mouthpiece, pediatric mask and extra filters. 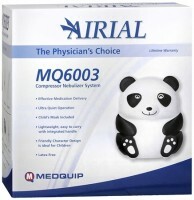 The MQ7000 features a unique pacifier nasal applicator ensuring that the youngest of patients receive precise and comfortable nebulizer treatments. Consistent with all Airial Pediatric Nebulizer Systems the MQ7000 is safe to use and includes MEDQUIP's exclusive Lifetime Warranty. Package contents: compressor nebulizer (with MQ0071-Postal Store Kit), carrying case, 7 feet non-kink tubing, child mask, angled mouthpiece, medication cup. 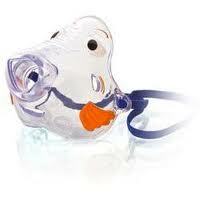 Warnings Caution: Federal Law restricts this device to sale by or on the order of a physician. This device is intended for single patient use.